The Dancefloor Junkies are a perfect fusion of musical energy that is sure to have everyone on their feet! This Electro/Pop/Hip-Hop duo is comprised of two DJs who bring a blend of Chicago and New York City’s best and most diverse party music. Chicago’s DJ Jem is one-of-a-kind. A rarity whose talents can only be described in one way: a cut above the rest. Eric Sampson, a.k.a. DJ Jem has skyrocketed to the pinnacle of Chicago nightlife entertainment as one of the city’s most prolific DJs and mastermind producer. While a resident DJ for many of Chicago’s top- tier nightclubs, DJ Jem has had the privilege of spinning all over North America in major cities such as Washington D.C., Miami, and Toronto. He has also performed for major artists such as Kanye West, LL Cool J, John Mayer, R. Kelly and several other international celebrities. With turntable skills that cut like a diamond, rare mashups and precision live remixing, DJ Jem is known for packing the dancefloor and keeping it that way! Hailing from New York City, welcomes you to a world of sophistication beyond the turntables. Broadway’s early exposure to a wide variety of music at an early genres helped mold him into the diverse DJ he is today. Currently residing in the Midwest he tours with his Electro-Hop group, “The Dancefloor Junkies.” Broadway is the requested Disc Jockey of Mary J. Blige and has worked with some of the biggest brands and companies such as Nike, Macy’s and Complex Magazine. Broadway’s extensive footwear collection and love for fashion cannot be easily overlooked. He brings a special level of high-energy and sophistication beyond the turntables to each engagement, providing party goers and listeners with a soundtrack for a guaranteed good time. 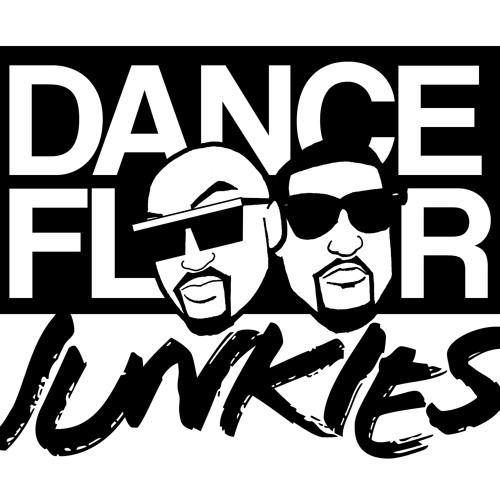 The Dancefloor Junkies are a dynamic duo that is truly unique to their style. Their eclectic blend of styles and musical variety coupled with extreme high energy bring a breath of fresh air to nightlife. Their influence via the turntables provides one result: packed dance floors. More than DJ’s, The Dancefloor Junkies, provide a special level of sophisticated and fun entertainment for everyone.